Under sweeping changes announced yesterday, the NSW Government will provide $50m a year in funding for schools to appoint business managers who will take over administrative duties and allow principals to focus on teaching and learning. The School Leadership Strategy was in response to research that shows school leaders who focus on instructional leadership have the biggest impact on student learning – and to the findings of an independent study commissioned by the Department into principals' workload. “Our community places an increasing expectation on our principals and teachers to ensure that our next generation is not only educated in the core skills or reading, writing and maths, but also in developing students with life skills for outside the classroom,” Stokes said. He added that too often, school decisions and policies were “being decided on behalf of principals by people with no knowledge or understanding of the individual school or its students”. “We need our principals to be leaders of the classrooms, inspiring students and teachers – not managers behind a desk filling in paperwork,” Stokes said. The NSW Secondary Principals Council (NSWSPC) and the Primary Principals Association (APPA) have been two organisations that have lobbied heavily for these changes and were instrumental in the formation of the new strategy. 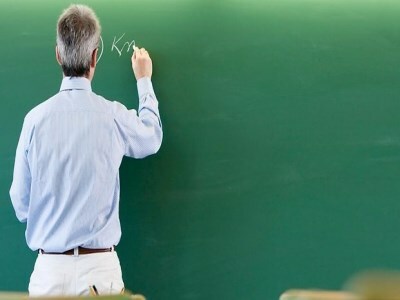 NSWSPC president, Chris Presland, told The Educator that the changes announced yesterday are “just the first step” and are part of a much broader strategy to help school leaders fulfil the teaching and learning aspects of their role. “There are several more phases to come based on the reviews currently being undertaken in relation to staffing, educational services and assets,” Presland said. Presland said the Principal Workload Study, an independent study completed recently, would be driving many of these reforms. “The educational services review will drive the next phase of this strategy and focus on the increased provision of curriculum support for schools, which is something that principals been crying out for,” he said. Presland said that as of next term, the Department will launch a review of HR and staffing, as well the way asset management is conducted across all NSW public schools. “The anticipation is that these things will lead to further parts of this strategy in the early part of next year,” Presland said. One question many principals are now asking, said Presland, is where to begin in terms of hiring the business managers that will take on their administrative workloads. “This is a concern that has been expressed to the Department, and we expect that they will be providing significant support to school leaders who will be keen to implement the new changes in their schools,” he said.